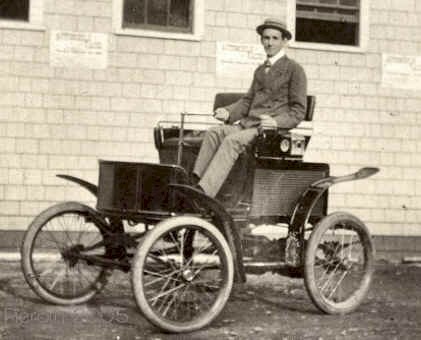 Today I found out the first speeding infraction in the U.S. was committed by a New York City taxi driver in an electric car on May 20, 1899. The driver was Jacob German who drove for the Electric Vehicle Company, which leased its electric taxicabs to be used around New York. German was driving his taxi at a blistering 12 miles per hour down Lexington Street in Manhattan. At that time, the speed limit was 8 miles per hour on straight-a-ways and 4 miles per hour when turning. A police officer on a bicycle observed the 26 year old Mr. German speeding and promptly arrested him and imprisoned him in the East 22nd Street station house. There is some contention on whether he actually received a paper ticket or not, which would have also made him the first person in the U.S. to receive an actual physical ticket, as opposed to just being the first to be cited for committing a speeding infraction. The general consensus seems to be that he did not receive an actual ticket and, rather, the first known paper speeding ticket issued to a driver in the United States was to one Harry Myers in Dayton Ohio in 1904. Mr. Myers was also traveling 12 miles per hour when the police observed him speeding. In his case though, he wasn’t arrested, but was just issued a ticket. Outside of the United States, the first known speeding infraction is thought to have been committed in Great Britain on January 28, 1896, around three years before Jacob German was arrested for speeding. This infraction was committed by Walter Arnold of East Peckham, Kent. Mr. Arnold was traveling in a 2 mph zone (yes, 2 mph) and was going a breakneck 8 mph. The fine he received was for 1 shilling. According to the U.S. Census Bureau, an estimated 100,000 people per day are cited for speeding in the United States with an average cost of $150 per ticket, generating around $15 million per day or around $5.5 billion per year in revenue. The fastest speed ever recorded on a speeding ticket was for a car doing 242 mph in a 75 mph zone in May of 2003 in Texas. The car was a Swedish Koenigsegg CC85. One wonders how the police officer caught up. The most expensive speeding ticket to date was given to Jussi Salonoja in 2003 in Finland. Salonoja had to pay 170,000 Euros (around $250,000) for doing 80 km/h in a 40 km/hr zone (about 50 mph in a 25 mph). Ouch. The fines in Finland are partially based on the income of the person being ticketed and Mr. Salonoja is a reasonably wealthy business man and investor. Salonoja received his first fortune at the tender age of 11 years old, receiving a large inheritance from his great uncle who owned a very large meat processing company. The name “taxicab” is derived from “taximeter” and “cabriolet”. The former was invented in 1891 and obviously is used to record distances and calculate the fare. The latter refers to a horse drawn carriage where the driver stands in the back of the carriage. The name “taximeter” itself is derived from the Mid-Latin “taxa”, meaning “tax, charge”. The first documented use of the word “taxicab” was in March of 1907 in London. Another phrase that derived from taximeter was a “taxi dancer”, which was a woman who sold her services at dance halls. In 1899, 90% of all taxi cabs in New York were electric vehicles. People, where do you get your facts? I like the Swedish Idea that the fine for speeding is also based on the wealth of the person fined. A $200 ticket to a person earning $12,000 hurts to a person earning $2,000,000 it is just a minor annoyance, mostly because they have to show up in court. first speeding tickets where not MPH but exceeding a mile in so many minutes. I have a 1909 from pa. I have recently learned that one of the Presidents of the United States, I forgot which one, but it’s not important, got several speeding citations and was once arrested because of it. This was before self propelled vehicles were invented (or at least before they were available to the general public). I think then that this may be the first speeding ticket given to a self-propelled vehicle as opposed to a horse and cart. It never occurred to me that in metropolitan areas there could be speed limits for horse drawn buggies, but it makes sense there would be to keep people safe. Which also explain why some speed limits for cars were so restrictive when cars first started being popular. 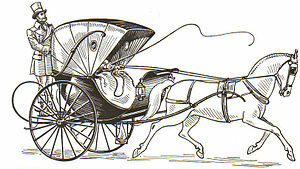 They were tailored for horse powered vehicles and applied to the new cars. Salonja is not the recipient of the world’s largest speeding ticket. He only got hit for a quarter mil. The Swiss Bacon caught a Swede in an SLS doing 290 kph in a 120 kph zone. He got hit for the full million. No word on how exactly they caught him, the Swiss Army equivalent of an Apache or Comanche, perhaps?